Residential Rental Listing 4 bed 1.5 bath in Sequim, WA. 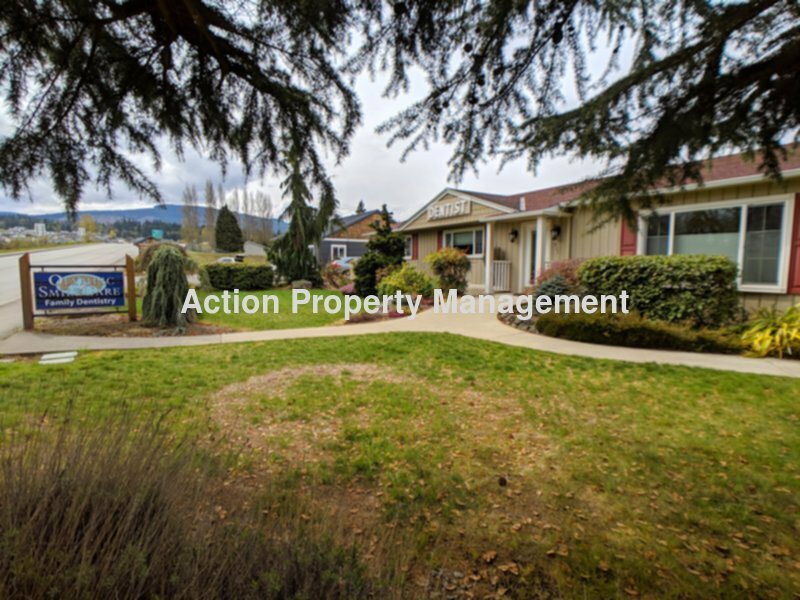 Commercial office space in a prime location on S. Sequim Ave., close to Hwy 101 entrance/exit. commercial office space in a prime location on s. sequim ave., close to hwy 101 entrance/exit. Beautiful commercial office space in a prime location, one block off Hwy 101 on S. Sequim Avenue. Large reception area w/fireplace, 4 individual offices, full kitchen, and lots of storage cabinets for all your supplies. There's a lunch room, laundry room, full accessible bathroom plus a second 1/2 bath. Beautiful landscaping and nice outdoor patio space for lunch breaks. Plenty of on-site parking for staff and customers. Large outside storage building included. Yard care is included in the rental price and tenants are responsible all utilities. If you are not already on it, please visit our website at https://sunnysequim.com for more details. We do not accept comprehensive reusable tenant screening reports.